Welcome to Fletcher Hotel-Restaurant Nautisch Kwartier. 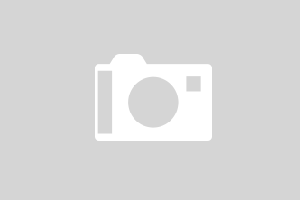 The hotel in Huizen can be found in the Old Haven, situated directly at the Gooimeer. 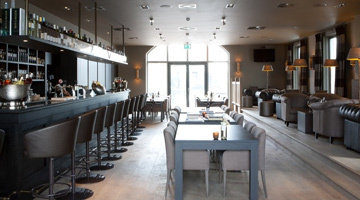 The interiour design of Fletcher Hotel-Restaurant Nautisch Kwartier is very modern and its rooms are truly luxurious. Some rooms overlook the beautiful lake. 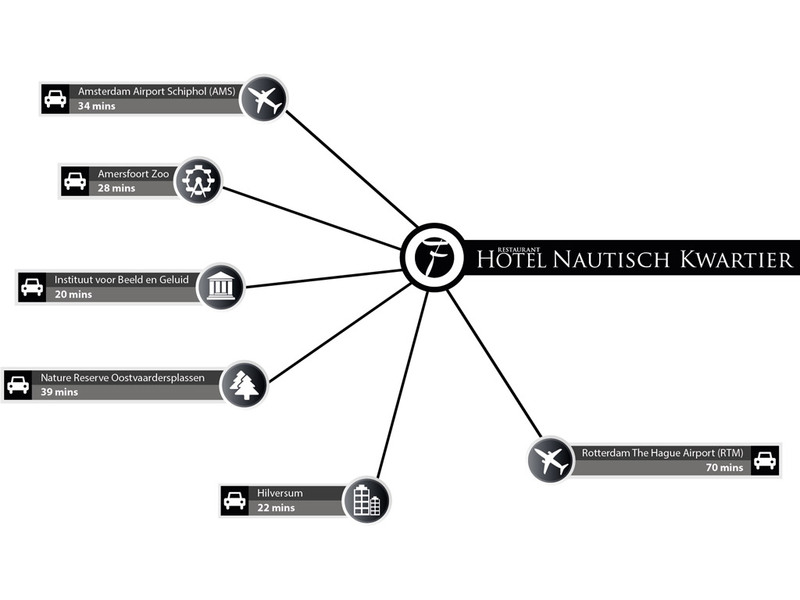 At Fletcher Hotel-Restaurant Nautisch Kwartier you are assured of a carefree stay. The comfortable hotel rooms guarantee a perfect night’s sleep. During the day you can discover the stunning surroundings of the hotel by making use of our (e-)bike rental service or the sloop rental service. After an active day you can take a seat in J Restaurant or in Laguna where you can enjoy delicious culinary delights. For an exquisite glass of wine you can draw up a chair in our beautiful RIVA Wijnlounge. Fletcher Hotel-Restaurant Nautisch Kwartier is also ideal for meetings and parties. The surroundings of our hotel in Huizen is definitely worth a visit. The beautiful town has lovely little houses and is surrounded by woods, heathlands and water. J Restaurant is the culinary heart of our hotel, where honest and pure Dutch ingredients are used. 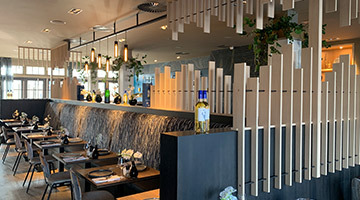 Enjoy a delicious dinner overlooking the beautiful Gooimeer lake. You can visit J Restaurant for a full dinner, but also for a delicious lunch or a refreshing drink on our terrace. RIVA Wine Lounge, the place to be in ‘t Gooi! Enjoy specially selected fine wines from various regions around the world! There are 100 different wines on the menu! Relaxing in a stylish, contemporary space with a view of 't Kolkje, you will enjoy a special wine with a culinary hors d’oeuvre. Something to celebrate? Is it your birthday, graduation, doctorate celebration or wedding? The Kalkovens is the première location for all your get-togethers. So whatever your reason for the party, we pride ourselves on arranging everything to perfection. 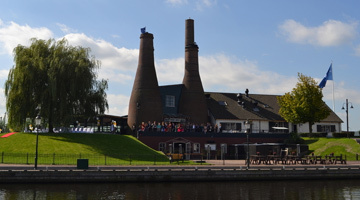 The ‘Kalkovens’ also offers a special meeting location in the area of Utrecht.